It’s New Year’s Eve and the last minute preparations for 2015 are underway! And that includes Our Little Loka! We’re getting the next round of all-new content together for you and your little dreamers as we start work on The Next Book. YAY!! We had an amazing time at BloomBars in Washington, DC and had a blast with John, Gowri, Anisha and their group of young dreamers who joined us in a “Free Your Dance” session after reading the book. Fun Fact: they also run Bollywood classes on Thursdays for adults and children. They’re a short walk away from the Columbia Heights Metro Station and at the heart of of a wonderful neighborhood. If you’re local, please check them out. As you countdown the hours, minutes and seconds to 2015 you might want to pick up a new activity and we have one just for you! Right from the hands of DARIA of Daria Music. Ankle Bells are worn for traditional dance in India and they go by many names depending on the style of dance or region. 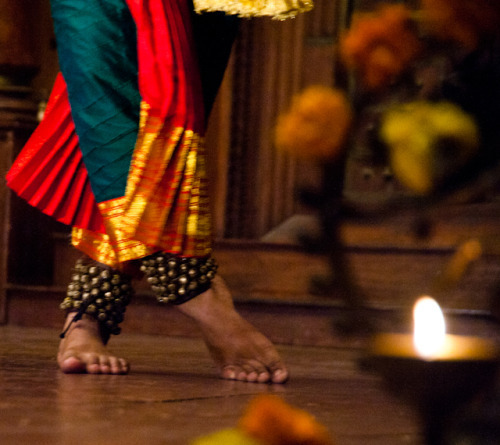 In “Dances of India” you see the dancers wearing them for Bharatanatyam to help the dancers tell their stories. And now you can make your very own set at home! Thank you, Daria, for sending us this activity. Download the PDF Activity and you can be stomping and jingling in no time.